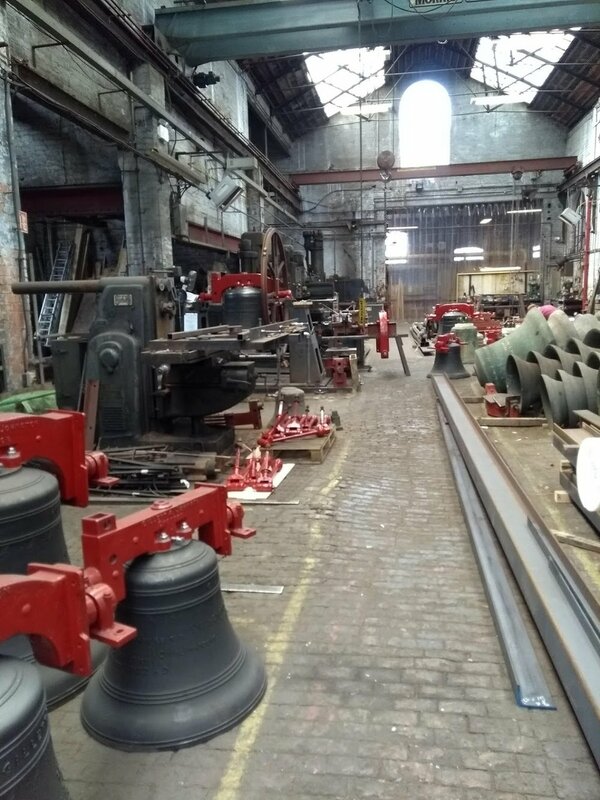 Today was the first Sunday that the bells could be rung again with the clappers restored. At the end of July the clappers were taken out and up to Taylors of Loughborough. Returned and re-inserted, the bells are once again sounding as they should. Can you spot the odd clapper among the six (it's from White's of Appleton)? They will sound magnificent on Armistice Day when all the bells of Britain will be rung. A great afternoon of Tug-of-War organised by Robert Watkins at Great Corras: our local teams, men’s and women’s, were competing in the yellow shirts of “Cupid’s Hill”. We wish them every success in the remaining competitions of the season. A huge thank you to the twenty helpers yesterday who spent the whole morning in the Church Yard and made it look wonderfully spruce. The buzz of eight strimmers in action sounded like a vast swarm of hornets. A community action that produced something to be proud of.